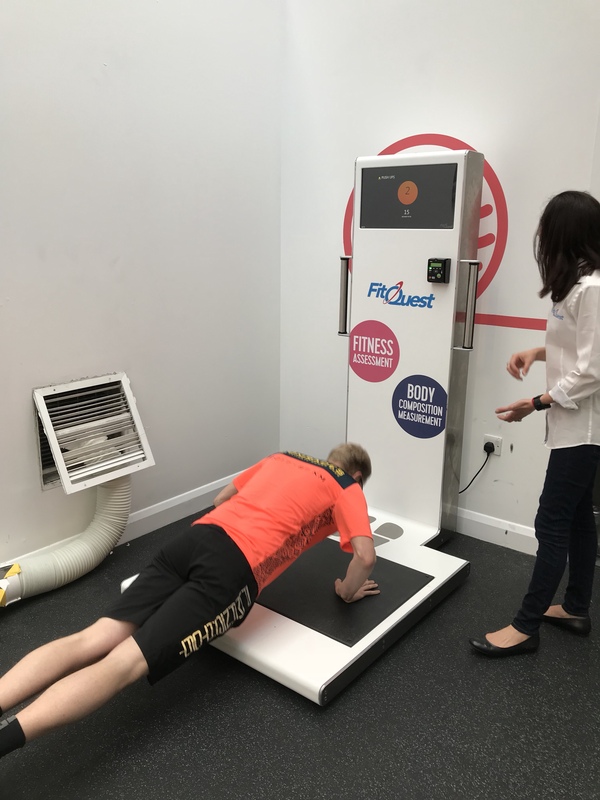 I was recently offered the chance to pop to Waterloo & go to The Gym Group where I could test the new FitQuest Machine. I had no idea what to expect but I went for it & here’s what I found out. As soon as an individual steps on to the platform, FitQuest prompts for some basic information. 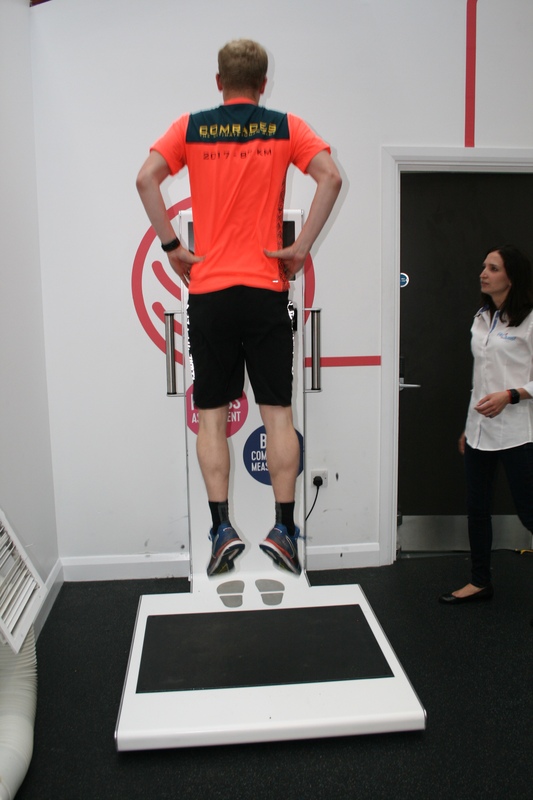 It then guides the individual through the 4 simple exercises and a heart rate recovery measurement. The overall assessment takes only 4 minutes. Once the tasks have been completed, the results are displayed on the screen immediately and are also accessible online. 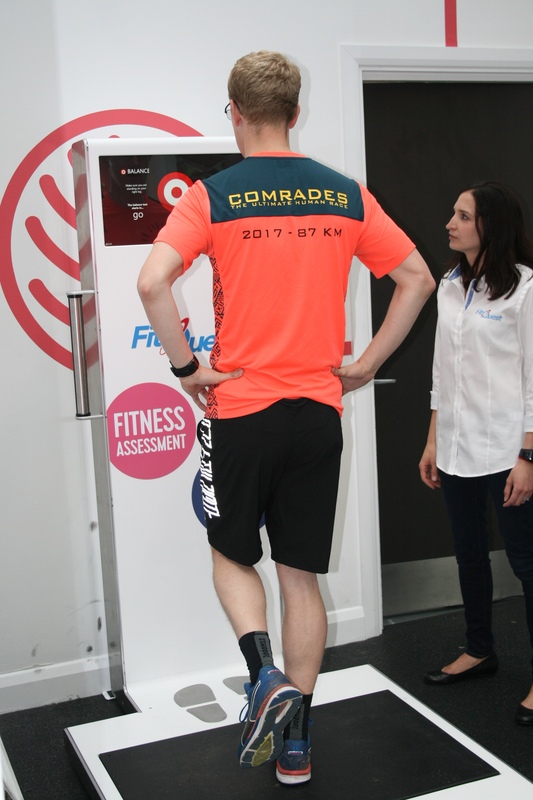 FitQuest not only measures individual parameters, but provides an overall fitness assessment known as the Fitness Quotient, or simply FQ. To help members users understand the results, FitQuest have converted the data into a unified fitness score, similar to the IQ test for intelligence. As I was stood on one leg I could see the dot in the middle of the target wobbling about & the longer it went on the more wobbling took place. I could definitely work on my stabilising muscles for improvement. I think I did 16 which wasn’t bad but I’d like to do more in the time available. Loves this I jumped 31 cm that’s a whole school ruler, looks like me explosive power is OK.
267 steps in 30 seconds I’ll take that. Measure your heart rate recovery over 60 seconds. 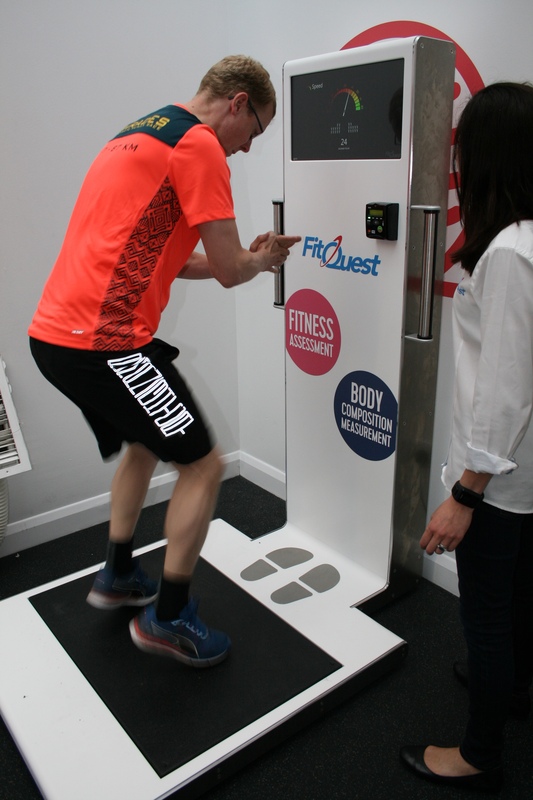 FitQuest’s newest machine includes the introduction of body composition analysis using bioelectrical impendence analysis (BIA). FitQuest BIA can determine body fat and muscle percentage as well as a user’s hydration levels through small, varying electrical currents. Accurately measure your body composition & hydration levels in seconds. I was really pleased to learn I had a low (ish) body fat, good hydration & a fitness age 7 years younger than my actual age. 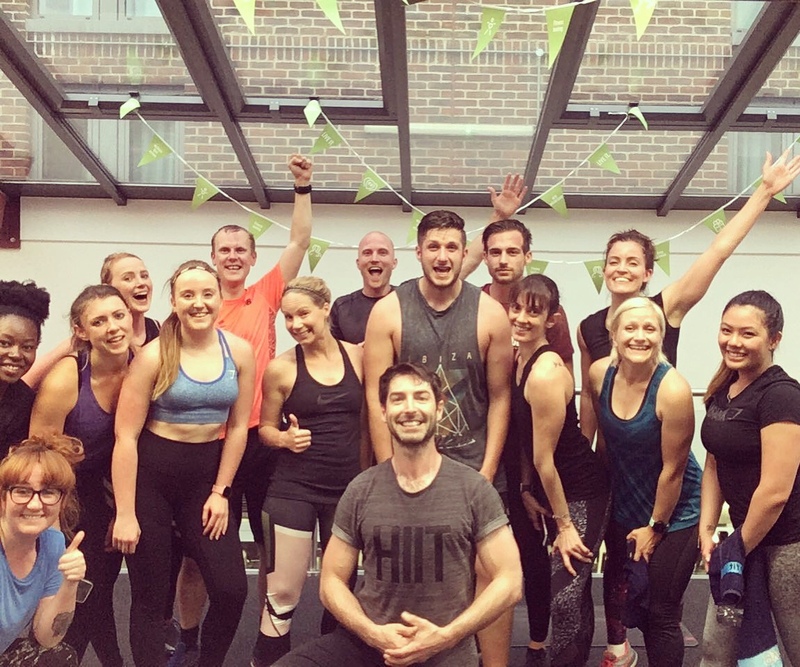 Following on from this we did a 30 minute HIIT class with @bikeywithmikey wow that guy is fit & he pushed us all through our workout. My face says it all I’m not used to classes like this at all having never done one, & for a few days after this I aches in places I didn’t know muscles existed. It was definitely a good all over body workout & I’d like to do more classes like this. I was also fed after the class with a really nice spread of healthy wraps & given a really decent goody bag at the end of it all for my time. The metcalfes rice cakes never made it off the Jubilee Line 😂 after my train ride the Point Blank Coffee helped keep me sharp for my drive home, I was shattered by then. 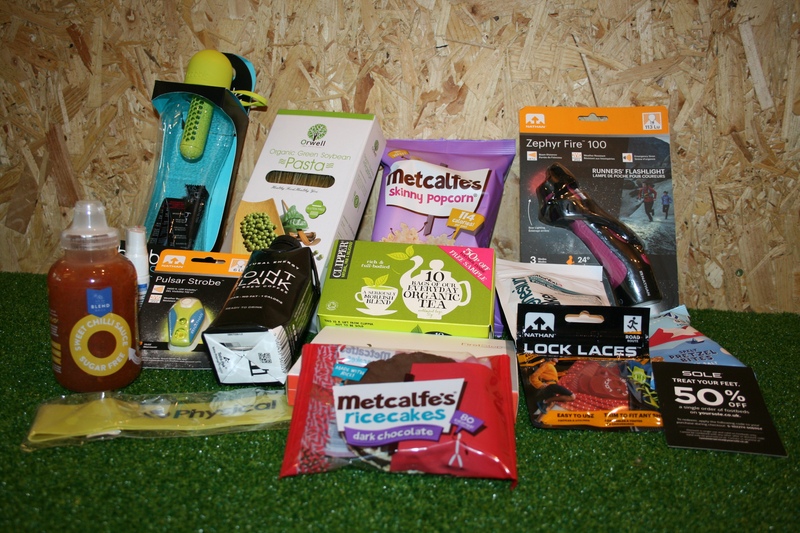 I had a fantastic evening, I met some great fitness bloggers & we all seemed to have fun out there. With a 3 month LIVE IT membership to The Gym Group as part of the goody bag & one local to me I’m hoping to do a few more HIIT classes & see if I can’t improve that FitQuest Score. 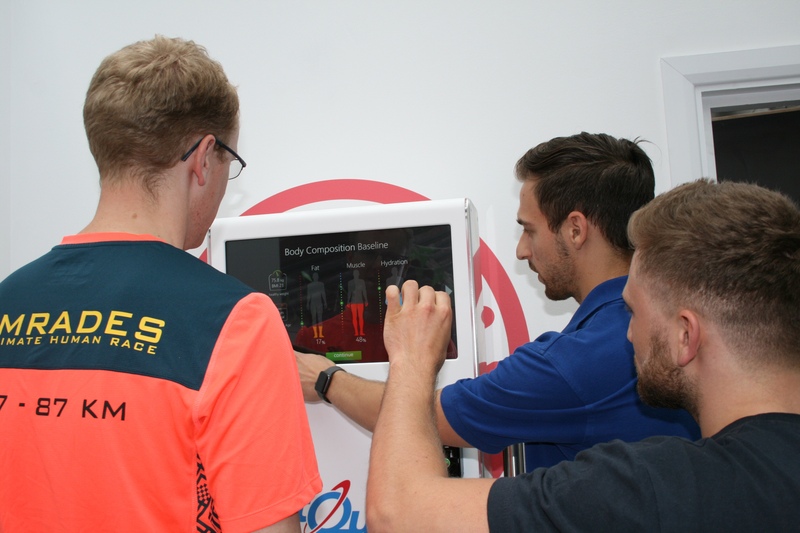 The FitQuest machines are in the The Gym Group gyms & with their LIVE IT membership you can use the machine for free. LIVE IT is £23.99 a month but it’s pay as you go, there’s no contract to tie in for a certain time. 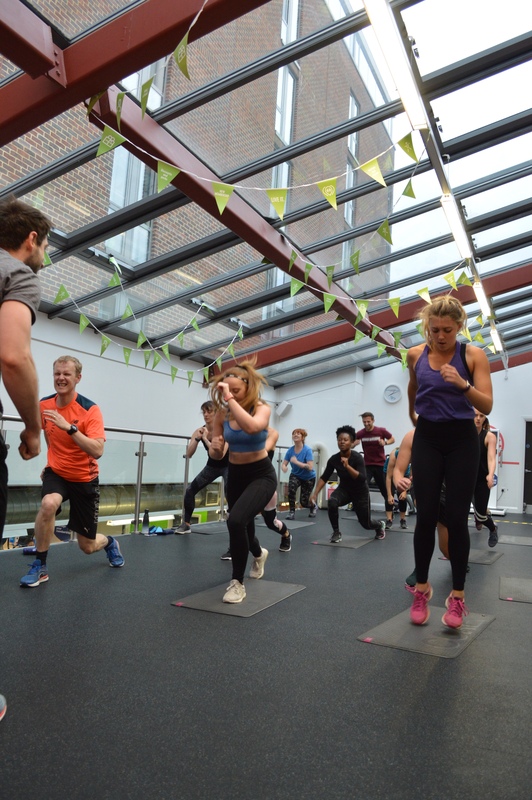 On their other memberships it’s a £2.50 contactless payment each time you use FitQuest. 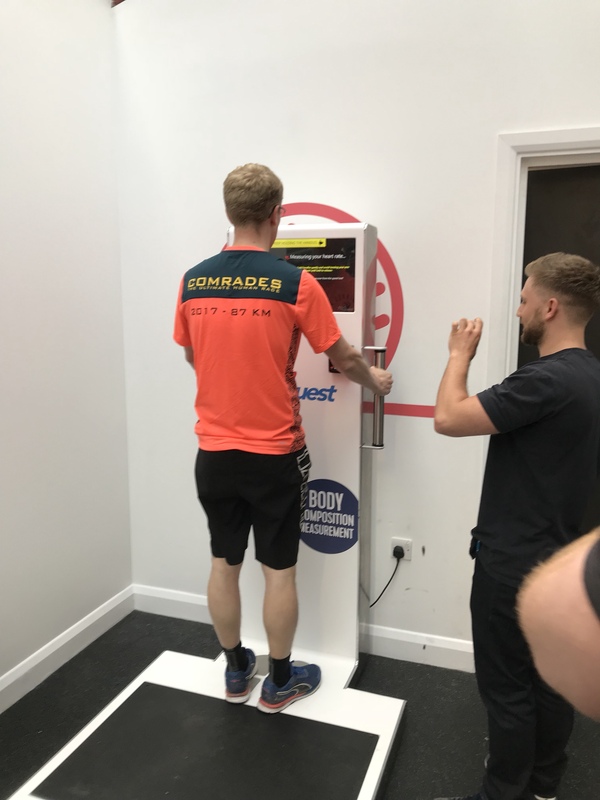 If you wanted to use the machine more often then The LIVE IT membership is only £4.99 more, 2 uses of FitQuest a month means it’s worth going for LIVE IT as you spend the same but also get other extras included such as multiple gym access, unlimited Fitness & Body Composition measurements, and discounts and perks. You can invite friends to train with you too.